Do you want to install dash cams? Well, it is one of the most straightforward things to do. All you have to do is just follow a few simple rules. 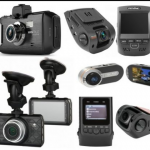 If you are looking for the steps to install dash cams, then you have come to the right place. Click here for the best dashcams. Here are a few tips that will be useful when it comes to installing the dash cams. The memory card is the primary medium in your dash cam. Before you begin installing the dash cam, it is vital that you first format your SD card. You will need a big storage capacity to allow you save more data. However, there are certain devices that do not support the large micro SD cards. In as much as there are 128 GB cards, there are certain devices that can only hold 32 GB. It is necessary that you know the amount of storage that your device can hold. In case your device does not have enough memory, you can upgrade so that you get the memory size you want. It is advisable that you go for a mount type that will be secure. The dash cam should be stable so that it will not come off when you are driving. Go for the mount that is suitable for your dash cam. You should take a lot of care when choosing the mount position for a dash cam. It should not block your view in any way. Make sure that you place the dash cam in a discreet place. It should be in a place where thieves cannot get it. The positioning should allow an unobstructed view through your front shield. The best place to put your dash cam is behind your rear view mirror. When set in the middle of your front shield, it will be able to get the best view within the vehicle. The dash cam comes with a mount type. You can buy the suction mount or the 3M adhesive. You should also pay attention to your wiring. It should not block your view. Furthermore, you have to make sure that the wires are not sticking out. The wires should be positioned such that they do not interfere with your feet while you are driving. You should also make sure that the wires are not caught on the door. To be on the safe side, you should tuck the wires nicely to avoid any inconvenience when driving.